The oval was dug up in 2012 to see what work needed to be done. The Arden St oval became a huge sandpit in December as workers dug it up, lay down sand and later rolled out grass for the oval to be of AFL standard and size. The ever changing visual of the Arden St oval is added to The Huddle’s program for schools students to inspire their movies about Arden St – what it means to the club and the impact on the environmental of inner Melbourne over the past 200 years. 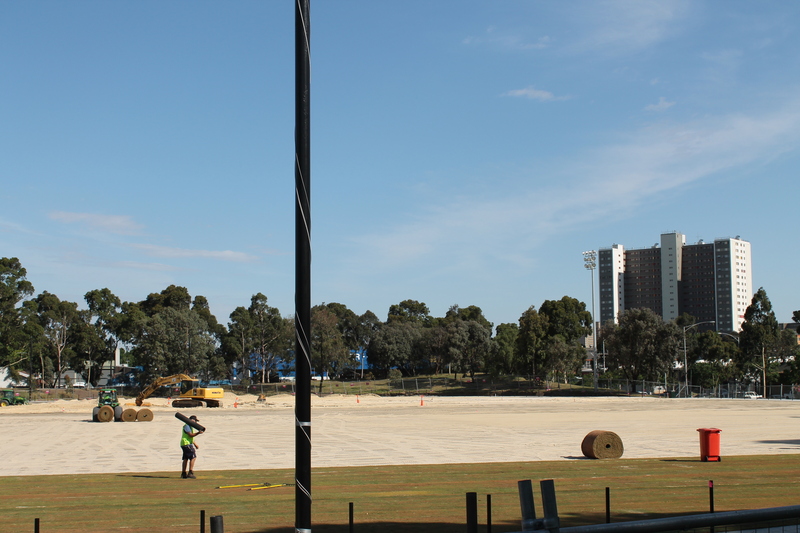 Arden St – lawn being rolled out for the players to use in March/April 2013.